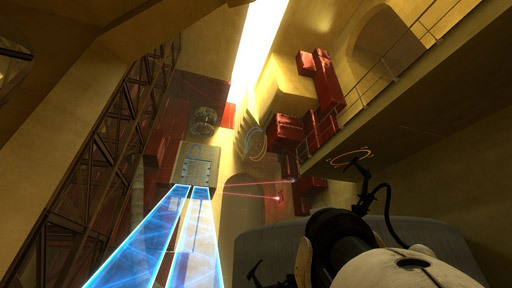 It's so refreshing to make Portal 2 levels -- you have an idea, you make it, you test it, you detail it, you test it, you fix it and then you have a rather playable map in the end. I've worked on so many unfinished levels and half-baked concepts the past year... and then I just cranked (crunked?) out a few chambers in the last few weeks. Making a map pack is suddenly so much more manageable. 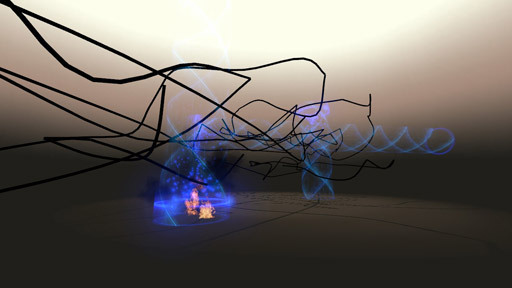 Never before has the function of video game architecture been so clear and elegant. In a weird reversal of architectural history, ornament has even transformed into something functional (it makes a surface unportalable) and slanted walls become more than just visually interesting. The only thing I dislike is the lack of a decent custom map loader interface in the main menu. Right now you have to go into the console and type "map [mapname]" which the average player can't be bothered to do. I'm sure it'll get addressed in the next update (DLC #1?) but until then, profound sad-face. If you've been working on the same old project for the last few months (or years) then take a break and spend a few days on a Portal 2 map. Remember the designer you once were and enjoy the feeling of actually finishing things. Because I know I sure needed it.